The Best Way to Promote You in German Market! Do you want to bring your products or company in Germany market with strong business partners? Campos Consulting heartily invites you to an outstanding opportunity to promote your services and products in the German market at the world´s most prestigious trade fairs and street parties. 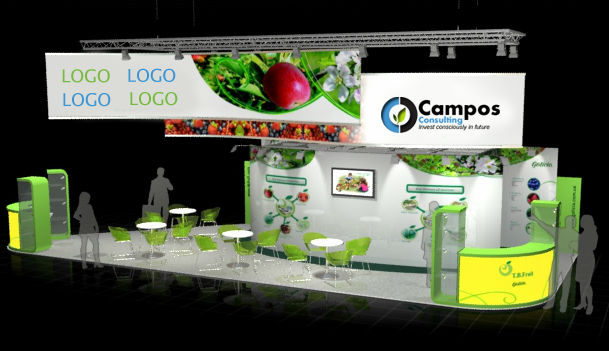 As an exclusive representative of Brazilian stall at the “Green Week Fair”, Campos Consulting is carrying out “Made in Brazil” project at Green Week Berlin in January 2014. The project is tailored for the promotion of Brazilian products in Germany and Europe wide markets in the area of food, agriculture and gardening. This Project can be supported by of the Brazilian Embassy Berlin in case of a sufficient number of participants. We offer Brazilian companies the unique possibility, to present their products for two weeks on a 40m ²-meter booth, which we furnish and decorate for you and your clients in a very special way: such as with Brazilian decor and music. The special decoration we provide you with will emphasize the cosy atmosphere of homemade food from Brazil. A complete “Feijoada” meal ” with Caipirinha will serve to make the stimulation of all senses perfect: seeing, hearing, feeling and tasting products from Brazil!